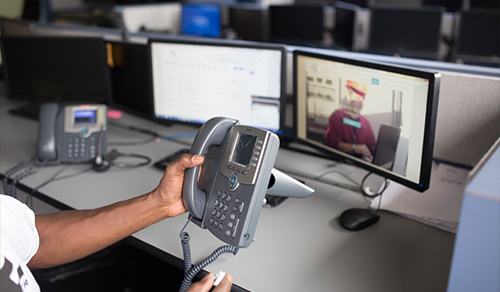 Playing an integral role in implementing and maintaining cloud strategies, software and hardware and providing UCaaS (unified communications as a service), ShoreTel engineers have a broad spectrum of responsibilities. From supporting ShoreTel switches and ShoreTel communicator equipment to configuring communication platforms and drafting recovery plans, it’s no wonder that ShoreTel engineers are in demand. If you’re searching for an experienced ShoreTel engineer, Field Engineer’s freelance marketplace is one of the best places to find a local professional you can trust. With more than 40,000 engineers and technicians in more than 180 countries, Field Engineer offers you the opportunity to recruit the best talent in the world. Our unique platform enables you to post jobs and find highly-skilled ShoreTel engineers in your desired location at the touch of a button. With our global network, you have the chance to access a bottomless talent pool, giving you scope to deliver a flawless service without hiring full-time employees. If you’re looking for a freelance ShoreTel engineer, why not sign up today? All you need to do is register and post your job.